Nothing shows off your great taste and gratitude like a hand-selected, gourmet gift basket or pairing a stylish piece of serveware with one of our delicious gourmet products. At Homefest Gourmet, we’ve stocked the shelves with amazing gourmet products from around the world. 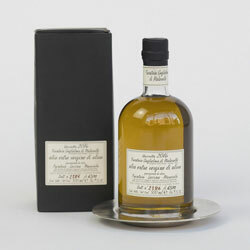 So entertain effortlessly, treat a foodie friend, or help out the hostess-with-the-mostest with the perfect gourmet gift. One of our favorite gifts and a feast for the eyes, our Platters and Boards cookbook paired with one of our charcuterie boards makes an inspiring gift for a hostess or foodie friend. Snack Attack? 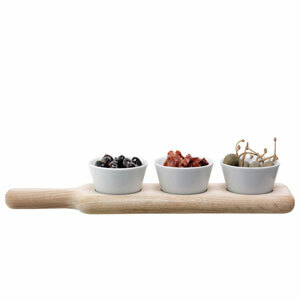 Our oak paddle with three small bowls is ideal for olives, nuts, or our trio of pestos. A match made in heaven, our Il Boschetto Extra Virgin Olive Oil pairs perfectly with our Match Italian Pewter bottle coaster. 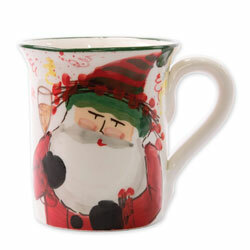 Vietri’s Old Saint Nick mug exudes old world holiday charm, pair it with our boxed cocoa and it’s a sweet gift for the kid in all of us. Whether you’re hosting a crowd or are a holiday house-guest, take the stress out of the morning-after with a basket of breakfast goodies. 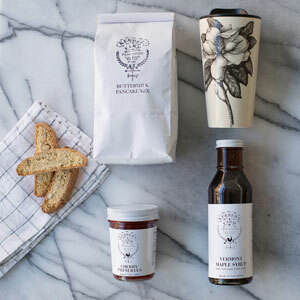 From honeys and jams to pancake mix and syrup, we have the gourmet goods to make the morning right. Throw in a coffee tumbler or serving bowl to complete the gift. 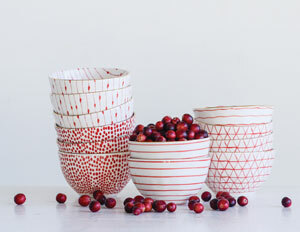 They’ll be bowled over…and what’s not to love about these festive appetizer bowls. Top it off with a box of gourmet shortbread cookies and it’s a pretty sweet gift.